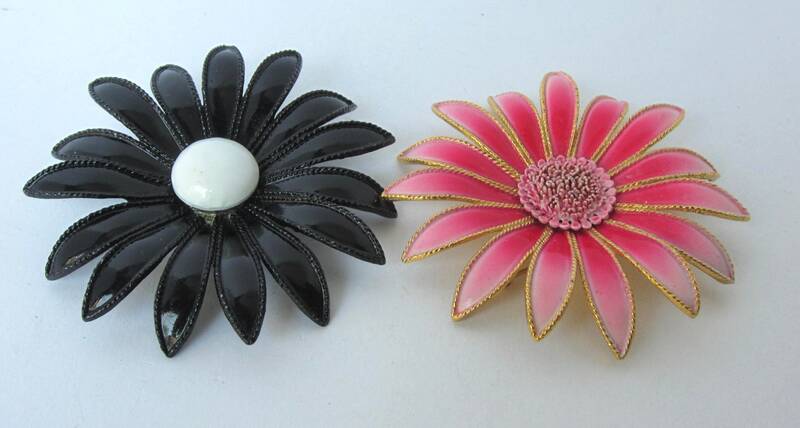 DESCRIPTION: What a great pair of enamel metal “FLOWER POWER” pins! 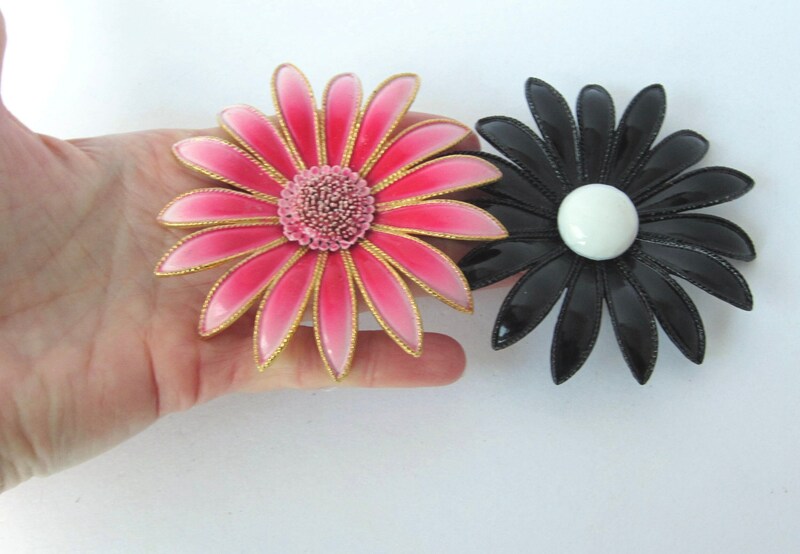 These two HUGE pins (each ~3-1/4” across), from the 1960s or '70s, are always fashionable. 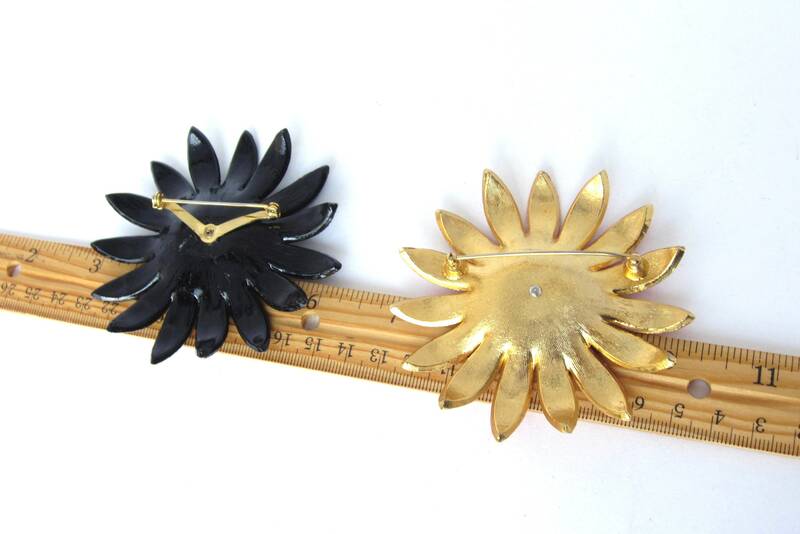 Both pins are dimensional, have substantial weights, domed centers, & 15-petal counts. The BLACK enamel pin has a white “button nose” center. It also has a texturized rope border surround each & every petal. 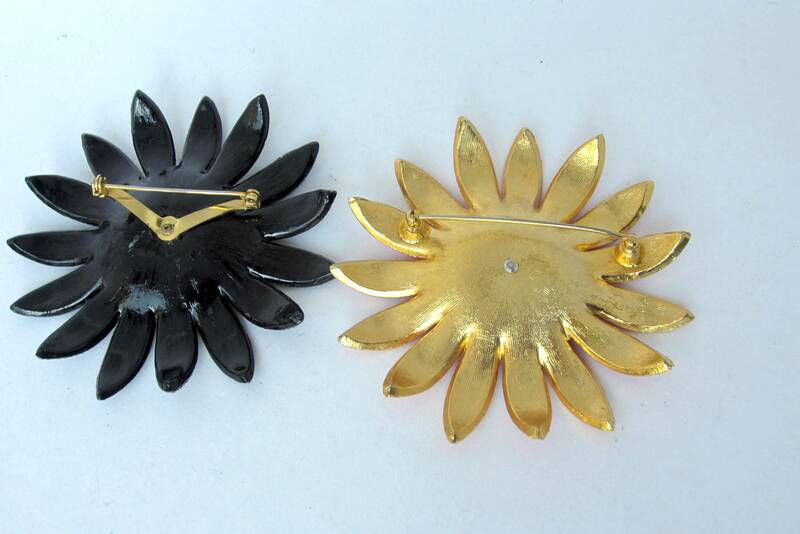 Its reverse is completed in black enamel as well. 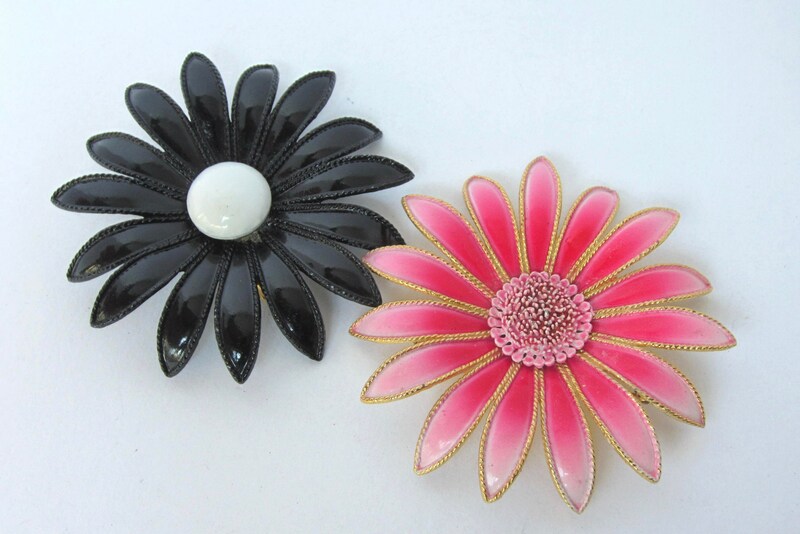 The PINK enamel pin's petals have an OMBRE effect moving from a vibrant pink to carnation pink. The center is elevated & texturized. The texturized rope border & its reverse are completed pretty gold tone metal. 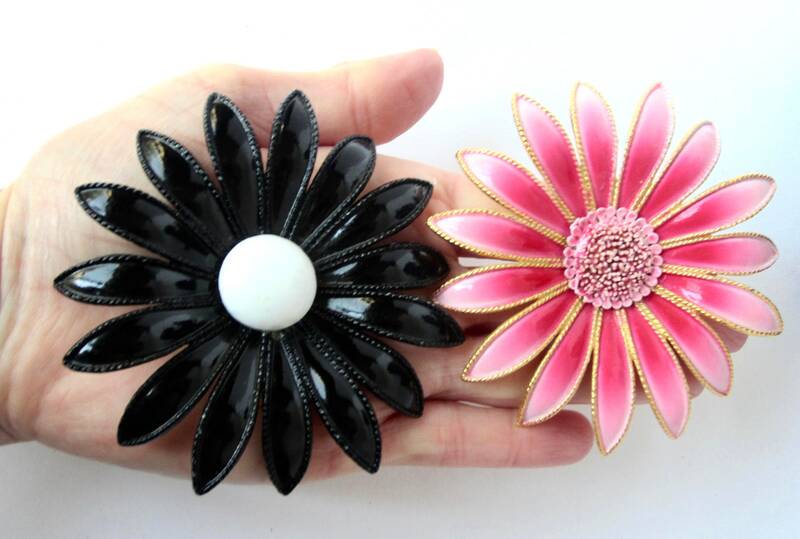 From my personal collection, both pins are beautiful, statement-making pieces that will enhance your jewelry wardrobe . 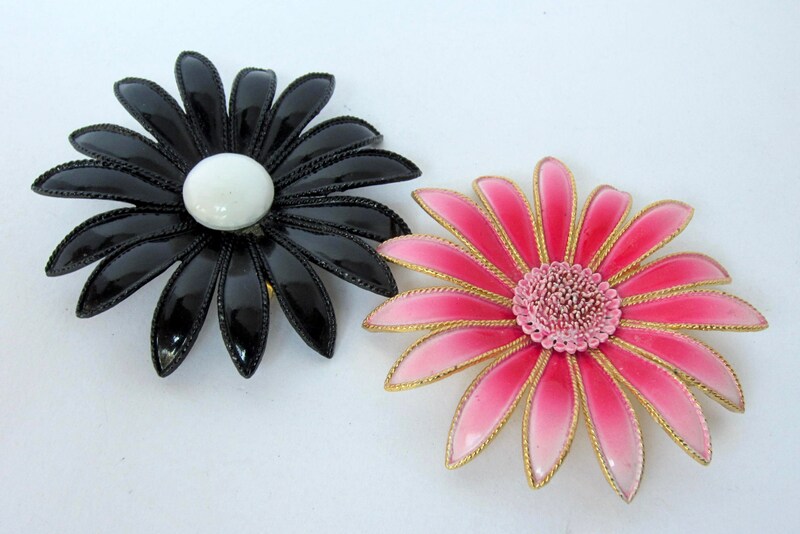 The black flower has mild enamel wear (black) /crackling (pink) to both in the flowers’ centers. Both rollover clasps hold tightly.